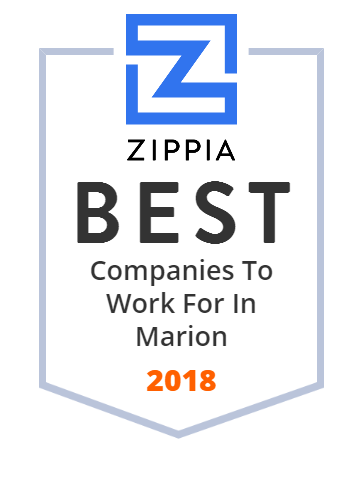 We hand-curated a list of the best companies to work for headquartered in and around Marion, OH using data on salaries, company financial health, and employee diversity. JAG Healthcare LLC operates skilled nursing facilities in Ohio. It offers physical, speech, and occupational therapy; nursing care; IV therapy and pain management; respite care/short stay options; post acute care; wound care; infectious disease care; and hospice services. The company was incorporated in 2010 and is based in Rocky River, Ohio. We manufacture garden hoses and water hoses for a wide variety of applications. Order directly from our online store with free shipping on orders over $50! Marion General Hospital, Inc. operates a hospital. It offers primary healthcare services for individuals and families, as well as specialized services in the areas of behavioral health, cancer care, emergency care, heart services, home health, hospice care, infusion clinic, maternity, medical massage therapy, orthopedic services, pastoral care, pulmonary rehab, surgery, and wound care. The company also operates a medical center that provides various outpatient services, including laboratory, outpatient surgery, endoscopy, physical therapy, occupational health, occupational therapy, orthotics, industrial rehabilitation, respiratory therapy, sleep studies, and radiology services. Marion General Hospital, Inc. was founded in 1983 and is based in Marion, Ohio. Marion General Hospital, Inc. operates as a subsidiary of OhioHealth Corporation. High School Career Center & vocational training, & Adult Education center serving Marion and central Ohio with nursing, robotics and 25 more skill programs. Logo Holdings I Corporation is based in the United States. Quality Masonry Company, Inc. - Quality Maintenance Company, Inc. - Quality is never an accident but the results of good intentions, sincere effort and skillful execution. Marion Technical College, often referred to as Marion Tech or MTC, is a public technical college located on a 180-acre (0.73 km) campus in Marion, Ohio that is shared between MTC and the Ohio State University at Marion. Founded in 1970 with classes beginning in 1971, MTC has awarded over 7,500 associate degrees. The college offers associate degrees, certificates, and transfer programs in the areas of Business, Engineering, Information Technology, Public Service, Health, and Arts and Sciences. The college practices open admissions. Wyandot Snacks is a privately held and family owned American snack food manufacturer headquartered in Marion, Ohio, a part of the Columbus, Ohio Combined statistical area.